View More In Speaker Parts & Components. The 1U Simple Vertical Rack's lightweight vertical wall mount design intelligently produces a cost effective and space saving solution for your IT and AV equipment. 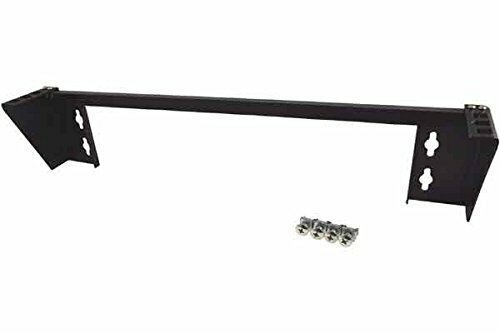 Includes cage screws and nuts for mounting equipment into the rack. Durable solid steel construction meets EIA-310 19" rack standards, and is compatible with nearly all 19" rack mountable equipment. Mounts easily to walls, desks and other vertical surfaces. If you have any questions about this product by CNAWEB, contact us by completing and submitting the form below. If you are looking for a specif part number, please include it with your message.